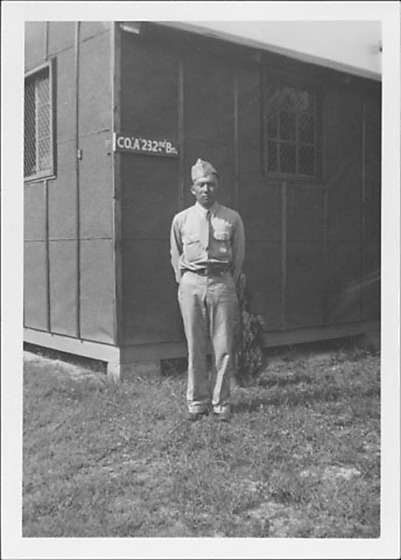 Man in United States Army uniform stands with hands behind his back in front of corner of a building with sign, "CO."A"232nd Bn." on October 1944. Solider wears light colored slacks, shirt, necktie and garrison cap. Chain link grate covers window at TR and TL. Larger image of 97.292.3S.